On-site at the convention there will be a selection of vendors ready to sell you their wares! Arlene has honed her craft as a baker inspired first by years at the hip of her mum who was a brilliant home baker. Years of testing (and tasting) a myriad of recipes have led her to become a trusted baking resource for Film and Television productions across Toronto, having the honour of baking for Guillermo del Toro, Carla Gugino, Jonathan Frakes, Paul Austerberry, Star Trek Discovery, KILLJOYS, and The Expanse to name a few. Dubbed the "Princess of Pie" by CBC, Arlene has appeared as a CBC Life video personality and article contributor to the national broadcaster. Her personal style of baking can be described as Elevated Comfort, with influences from fine art, graphic design, and architecture. Deadly Grounds Coffee is the ONLY hearse based coffee company in North America. For our founder; Tom Lialios, working in television and film production for over 20 years – coffee was a necessity in keeping him going during the long hours of work. But it was always more than just a beverage. Any coffee break with a close friend or co-worker is an opportunity to catch up on life, share some laughs, or work out life’s problems. Everyone has at least one good coffee buddy. Whether it’s with the mornings first brew, a quick mid-day drive thru run, or after dinner shared with someone special – it’s amazing all that could get worked out over a steaming cup o’ Joe. Since coffee time is such an enjoyable break in the midst of our hectic day it soon became a quest to find the “perfect cup”. While there’s never a shortage of coffee places, not all java brings the magic. Rare is the coffee experience that’s truly to die for. In the search for coffee nirvana Tom thought it would be easier to just make his own. While it turned out not to be easier it sure as hell was a lot of fun. He found a talented local roaster that believed in quality over quantity and with a name that no one could forget – Deadly Grounds Coffee was born. Since the goal was to make coffee to die for – choosing a hearse as our company car seemed like the right choice. It’s become the perfect ambassador on our travels, a great mobile coffee cart that can grind & brew coffee at 55mph, and people tend to get out of its way. 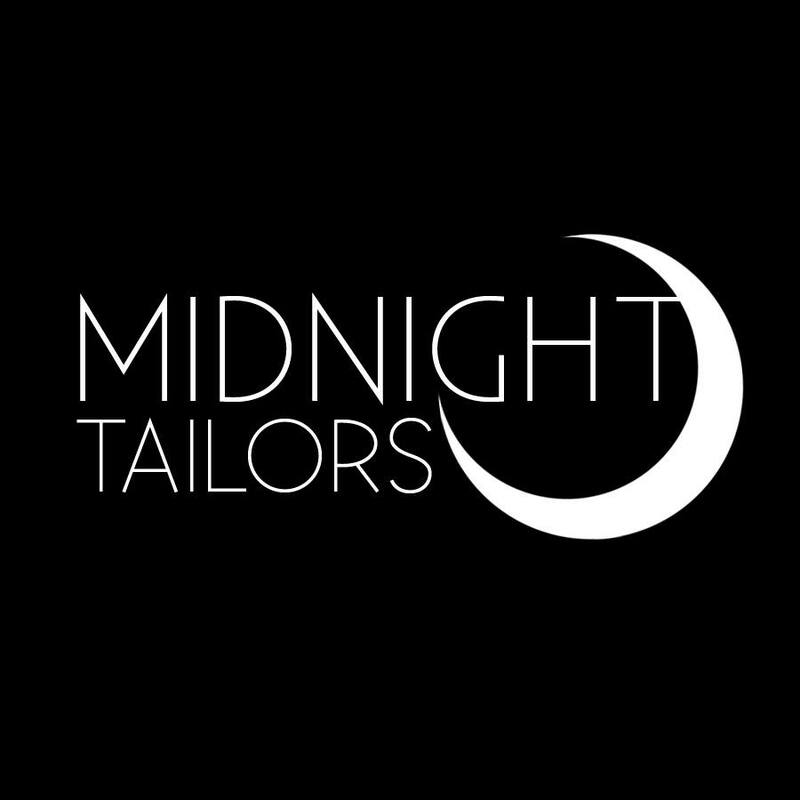 Midnight Tailors are tie makers from St. John’s, Newfoundland who create handmade to order custom ties for everyone, for any occasion, or non-occasion, including weddings, corporate situations, or just plain looking sharp. Sci-Fi on the Rock, St. John’s largest pop culture convention made them realize the potential that convention settings offer to market their unique #geekchic casual accessories. Midnight Tailors then decided to hit the Canadian convention circuit each year, peddling their wares at established giants such as Montreal Comic-Con and Hal-Con amongst many others. Midnight Tailors also supply several retail outlets with their product and are always eager to supply more. If you are a retailer and are interested in our products please contact us for the password and follow the link for wholesale information. Alfonso Espinos is an award-winning Canadian comic book creator and illustrator. He is the founder of Studiocomix Press where he is the project's chief editor, publishing the ongoing series The Night Spike. His focus has been on publishing his own original material. He also supports and works alongside a very talented team of new emergent graphic artists and comic enthusiasts to start up in the indie comic book business by developing titles for almost all kinds of genres He was Featured in the Canadian Movie Heroes Manufactured a documentary following Canadian artists and their ability to break into the comic book industry while dealing with fandom and the craze of comic book conventions in Canada. In 2017 he open the first dedicated comic book store and Print shop in Kitchener Ontario dedicated only for the Independent comic boor artist.